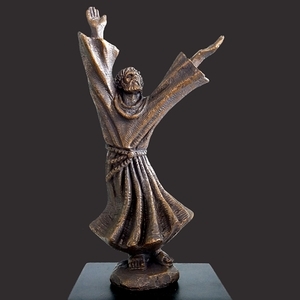 LordsArt.com is proud to introduce a growing category for our Catholic brothers and sisters; Catholic-oriented gifts. We will be adding more items under our gifts for Catholics in the near future. Gifts range from crucifixes, Catholic-inspired jewelry, figurines and much more. Our selection of timeless jewelry and wall art from LordsArt.com will be your solution to Catholic Baptism gifts. You will also find beautiful medals and figurines for First Holy Communion or Confirmation gifts. LordsArt.com also offers personalized photo plaques to mark the celebration. No matter what the occasion, you will find the perfect gift for those special moments in your loved one’s life. Whether you purchase for yourself or for others, you will love these gifts for Catholics. They are perfect reminders of God's goodness and unfailing love. They are a great way to share your faith and anyone who receives it will treasure it. With our wide selection of Catholic Christening gifts, LordsArt.com has you covered.